I’m guessing that since you’re reading this blog you probably like, or perhaps even love, chocolate. It is that piece of delightful deliciousness that absolutely makes everything you go through worthwhile. Wouldn’t it be awesome therefore to have a job which involves eating chocolate? That’s exactly what Taste Specialist Brandt Maybury has at Green & Blacks. He works in a job which forces him to enjoy chocolate (*how terrible* I hear you all say sarcastically). Brand is a really nice guy. He’s also been around for longer than he looks. He’s been a chef for an awfully long time but not before considering other career options. Apparently his first career option was astronaut although after he got a bit older he did briefly consider being a British Gas man “because they help people”. I think his current occupation working on new flavours for Green & Black’s takes some beating – even by an astronaut! 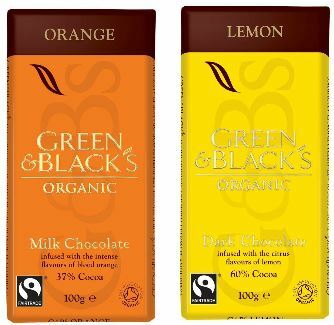 Yes the taste specialist at Green & Black’s loves milk chocolate, but he says that at a recent event to launch the two new bars of Blood Orange and Lemon the people’s favourite was the new Spiced Chilli Dark Chocolate bar. I’d like to stop for a moment here and just really specifically point out that milk chocolate can be really nice – let’s not be snobs about it and recognise that there is awesome milk and dark chocolate 😉 The two new bars absolutely bear his stamp but he has 2 new bars awaiting sign-off which will have been taken from start to finish by him. These will be launched early in the new year. 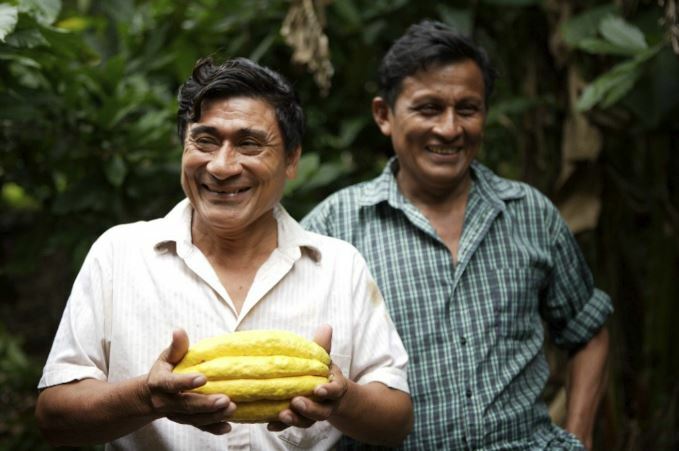 Green & Black’s chocolate isn’t just about being organic and Fairtrade though. Green & Black’s maintains its relationships with the farmers and collectives in Belize and the Dominican Republic and despite numerous different parent companies owning it, continue to invest in these countries. “If you could see the kind of change it makes in the lives of the farmers and you were looking on the shelves of the supermarket and saw the many chocolates all in the same price range with the same flavours, you’d pick Green & Blacks *because* of that massive impact” Brandt tells me. His passion is absolutely infectious as he talks about the farmers. “Green & Blacks is dedicated to trading fairly with the farmers” he says, making sure to emphasise the impact. Cocoa has been shown in the past to be a poverty crop. While we shudder at price rises, if they make it back to the farmers we should rejoice. Develop a trained palate. 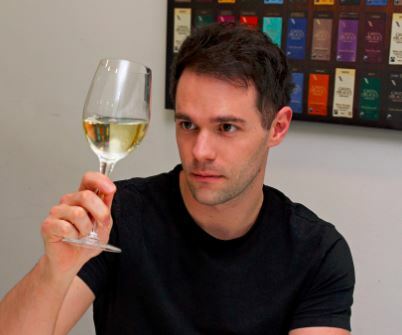 This doesn’t mean going to a wine course but rather thinking about flavours, what works and how a taste experience can be made better. Get used to slowing down and understanding what things taste like in order to understand what you are tasting in chocolate. Be passionate. 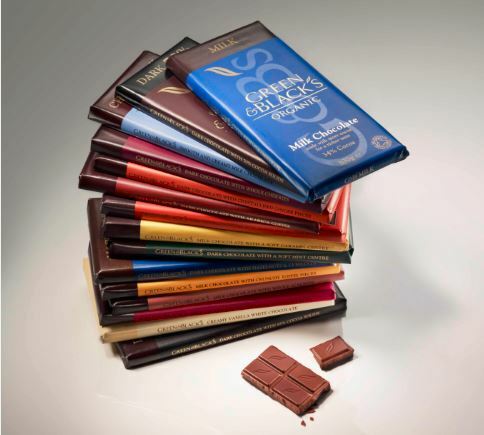 Chocolate isn’t a day job – it has to be a lifestyle. You cannot stop thinking about chocolate just because the working day is over. Remember that food is subjective. Don’t be afraid to stand your ground. Be confident in your opinion and don’t change it just because everyone else thinks a certain way. Be creative. Being creative doesn’t mean you can draw – it can be being a musician like Brandt is. Don’t be locked into a definition of creativity but you need to release your creative side. Finally I asked Brandt what he would be if he wasn’t working as the taste specialist at Green & Black’s. “A rock star” he says, confidently. Well Brandt, I think you’ve already made it as I am sure a lot of people will think of you as the “rock star” of the chocolate world.